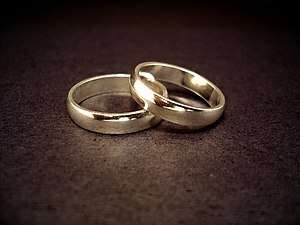 My true love gave to me…5 Gold Rings. The quote above is from the 50 Random Facts about Gold website. The point that needs to be made from an environmental standpoint is that, yes, gold is a valuable substance but look at the other resources that are being used in order to extract that gold from the earth. Then, given that there is a limited amount of gold in the earth, in fact, in all of history, only 161,000 tons of gold have been mined, barely enough to fill two Olympic-size swimming pools and the rarity of it makes us want it more. We are willing to use up our other resources to get at the gold. This fact comes from a story from National Geographic on The Real Price of Gold. Extracting a single ounce of gold there (in Indonesia)—the amount in a typical wedding ring—requires the removal of more than 250 tons of rock and ore.
Robert Krulwich, one of my favorite science guys from NPR has a story about a scientist that has injected nano-particles of gold into plants to get a glowing tree. 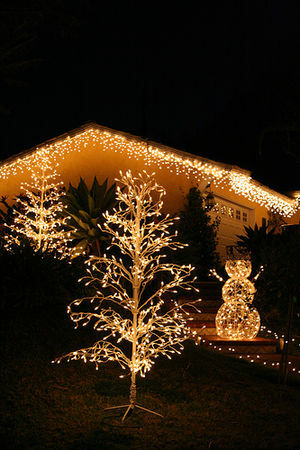 At this time of year, as we add lights to our Christmas trees, but I can’t see us really doing this in the future. Robert questions this with the same questions that I have….What happens to our “streetlights” when the leaves fall off the trees? Can you do this with pine tree? A spruce? Wouldn’t gold somehow hurt the tree? Or hurt the critters to eat the leaves? Who’s going to want to inject a tree leaf by leaf? What would this cost? Do you have to place a UV light next to each tree to see the glow? Why are you taking this seriously? You can eat gold but I can’t imagine doing so and really and truly, why would you if it is that expensive. Can the water treatment facilities extract it from our waste? If they are having trouble extracting pharmaceuticals from our water systems, I am sure they can’t get at the gold that would also be in the water. 5 Gold rings is at the center of the song 12 Days of Christmas, I’m sure, for the emphasis of our infatuation with the substance. Many in America think that our financial system should go back to gold standards. The price of Gold on December 3rd was $1,415 an ounce. I wear a gold wedding ring as a symbol of love given to my by my loving husband and would not trade that circle of gold for anything in the world, but I have no real desire to own or hoard gold, knowing the impact that this precious metal has on the earth and the lives of those miners and family of the miners that are looking for the gold around the world. The holiday catalogs have been pouring into my house for weeks now and they usually go straight to the recycle bin ( or the bathroom ) The photo is just from last week alone. 15 catalogs a week. WOW. So of the 19 billion catalogs mailed out to consumers this year, I am getting a big chunk of catalogs. Last year I spent a few hours of my time to send out requests to companies to stop sending me their catalogs and gradually the pile has gotten bigger. Some companies are worse than others and will send a catalog a week. I can’t imagine what their print order must be. I work in printing so you would think I would be happy about all the printing going on but my environmentalist brain kicks in and wants to condemn this practice. I am a magazineaholic at heart and am in the correct business but I also have a small house and can only fit so many magazines in it. This spring I managed to purge many of the magazines in my house and took out what I wanted to keep and recycled the rest of the book. Most catalog companies don’t use recycled paper. Many use bleach and gloss coated paper productions which release chemical toxins into the environment. 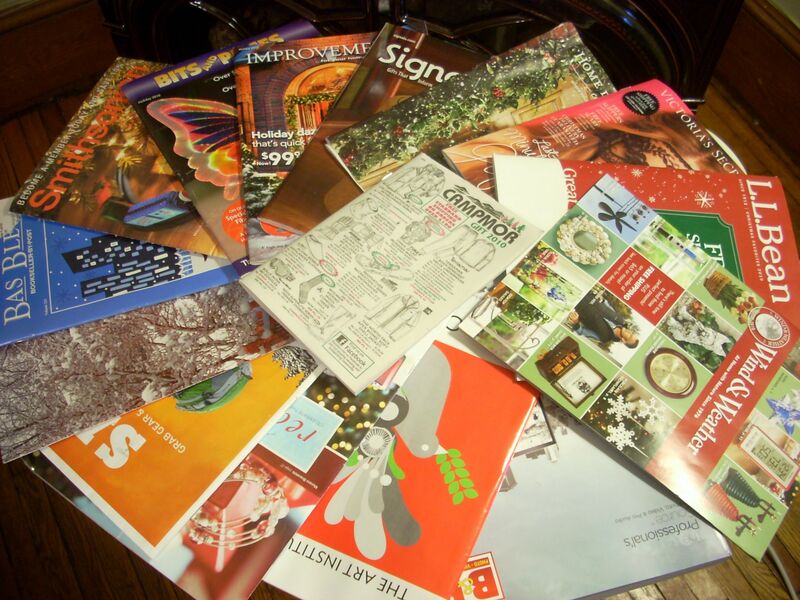 All municipal recycling programs accept catalogs. If you do have select catalogs to which you subscribe, be sure to put them in your recycling bin. Of course with the economy the way that is is the companies are trying to lure us in with free shipping. And I admit, living where I do I am an avid internet shopper during the holidays. But I use the internet to shop and not the catalogs. Amazon is a biggie at our house because they offer so much that isn’t available in Toms Brook. 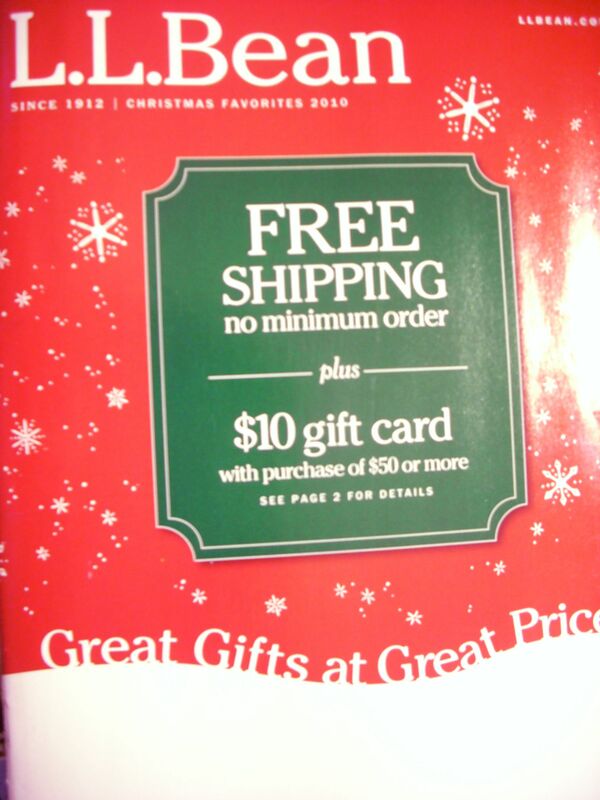 There are companies that you can contact like this one Catalog Choice that allow you to opt out of having the catalogs delivered into your mailbox. Maybe I’ll join the One Tree Club and get a patch to wear around like the one on the site. Students are joining this club and taking the Catalog Cancelling Challenge. On their site they state that if 360 catalogs come from one tree (19 billion catalogs divided by 53 million trees per year), then canceling 60 stops 360 and saves one tree. Using this DOWNLOADABLE LOG (click here) kids can track their canceling and aim for 60. Be sure to at least recycle the catalogs that you get this year and consider contacting some of the companies to take your name off the list so you don’t get so many next year. That is certainly what I am going to be doing in January.